In the world of technology, it takes smarts to be simple. That’s why our products get faster to install and easier to use as our technology continues to evolve. The sixth-generation Enphase IQ™ System is our smartest and simplest to date, bringing game-changing installation speed to solar installers, plus even more energy for homeowners. See how the components of the Enphase IQ system come together to enable faster, easier installations. They're truly plug-and-play, and each does its part to dramatically increase installation speed. Meet our family of solar products. The smart-grid ready Enphase IQ 7 Microinverter series is built on the seventh-generation platform and achieves the highest efficiency for module-level power electronics. The Enphase IQ Battery is an integrated energy storage system that delivers high performance, superior reliability, modular architecture, and safety. The IQ Envoy enables remote monitoring and update capabilities while offering system owners energy insight and storage control. Enphase IQ Microinverter accessories like the Q Cable and Q Field Wireables support faster, simpler, and more reliable installations. IQ Envoy accessories like the IQ Combiner, Mobile Connect, and Consumption CT make installation simpler. Pre-configured, cost-effective, and easy to use, they expand system capabilities and provide networking flexibility. The Enphase IQ system supports a wide range of modules, including both 60 and 72 cell modules, as well as high-power modules. It's also our most efficient microinverter yet, at 97%. The IQ System is smart grid ready, with UL 1741 SA certification. And as grid requirements continue to evolve, the IQ System can easily adapt to future requirements thanks to remote update capabilities. Visit the Support Center for all of the technical docs, design guides, and on-demand videos in one place. Our Enphase IQ Microinverter System is ushering in the next wave of innovation. See how the truly plug-and-play IQ system enables faster, easier installations. 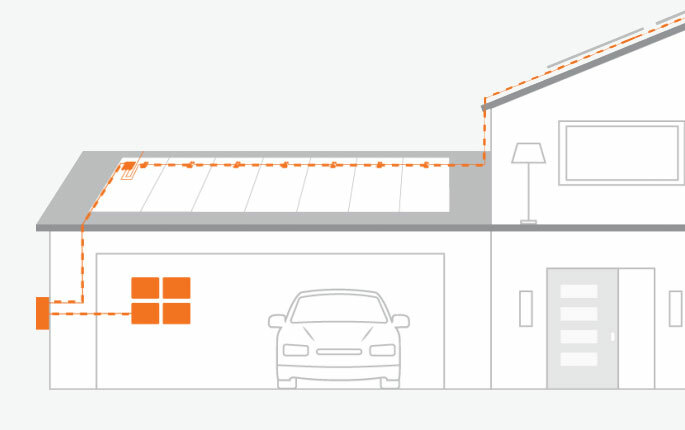 Take a look at a real-world installation of the Enphase Energized AC Module.